In life, a lot of high achievers have an enormous amount of stress to deal with. Some know how to deal with it. Many do not. 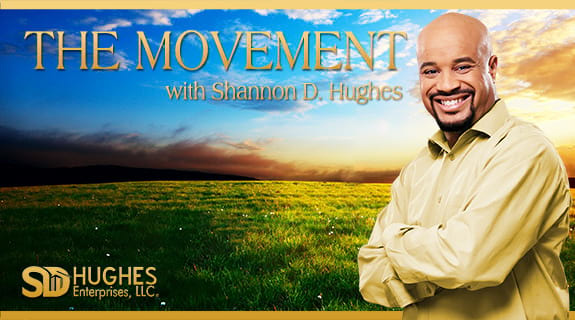 On the next episode of The Movement, Shannon talks to Lora Polowczuk. She is a powerful international speaker, author, corporate trainer, coach and founder of Priority Retreats. She will talk about her journey and where her passion for helping high achievers to live a more fulfilled life and how to deal with stress came from. Wife. Minister. Author. Leader. Life Coach. These traits and more describe Andria S. Hudson, a rising voice of this generation. Andria is a passionate motivational speaker delivering the message of hope and healing for the total man. Andria is the CEO of Andria S. Hudson Enterprises, Inc., a corporation of mentorship and empowerment for business, ministry and the arts. Andria is an accomplished award-winning writer from Lewis University holding a Bachelor of Arts degree in Political Science with a minor in Journalism. She is a successful playwright and theatrical producer with over 25 years of experience. Andria is the proud wife of Archbishop William Hudson, III of the Powerhouse Chicago church, and serves as a Staff Pastor as well as the Executive Director of the Vessels of Honor. She serves alongside her husband teaching and training pastors and spouses.